What is a brain stem stroke? A stroke occurs when blood supply to the brain is interrupted. The way a stroke affects the brain depends on which part of the brain suffers damage, and to what degree. Sitting just above the spinal cord, the brain stem controls your breathing, heartbeat, and blood pressure. It also controls your speech, swallowing, hearing, and eye movements. Impulses sent by other parts of the brain travel through the brain stem on their way to various body parts. We’re dependent on brain stem function for survival. A brain stem stroke threatens vital bodily functions, making it a life-threatening condition. 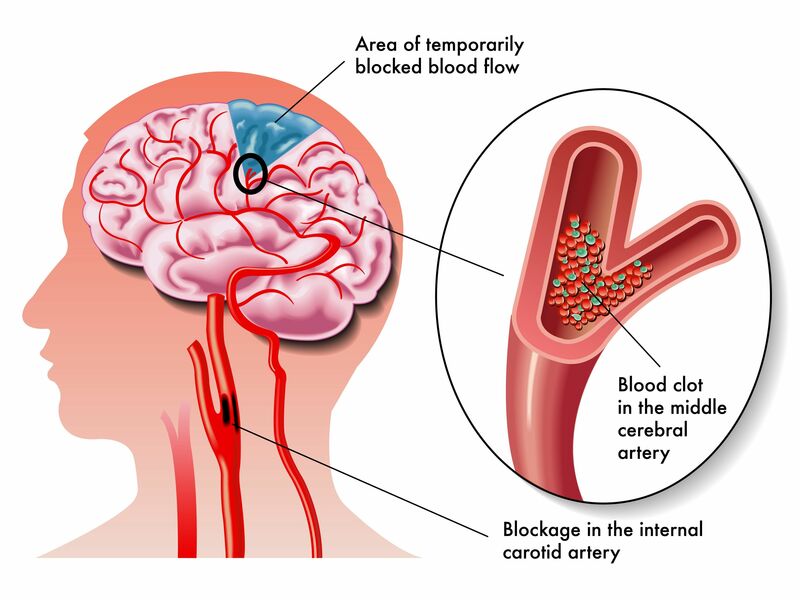 The most common type of stroke is an ischemic stroke, which is caused by a blood clot. A clot can form in an artery that supplies blood to the brain. A clot that forms elsewhere can travel through the blood vessels until it becomes trapped in one that supplies blood to the brain. When blood can’t get to a section of the brain, the brain tissue in that area dies off because it’s not receiving oxygen. Aside from blood clots, an arterial dissection can also cause an ischemic stroke. An arterial dissection is a tear in an artery that supplies blood to the brain. As a result of the tear, blood can accumulate within the arterial vessel wall and cause obstruction of blood flow. This pressure can also lead the wall to burst, rupture, or leak. The other type of stroke is called a hemorrhagic stroke. This is when a week blood vessel bursts, causing blood to pool and pressure to build in the brain. Is it Possible to Prevent a Stroke? Up to 50% of all strokes are preventable. Many risk factors can be controlled before they cause problems. Your doctor can evaluate your risk for stroke and help you control your risk factors. Sometimes, people experience warning signs before a stroke occurs. These are called transient ischemic attacks (also called TIA or “mini-stroke”) and are short, brief episodes of the stroke symptoms listed above. Some people have no symptoms warning them prior to a stroke or symptoms are so mild they are not noticeable. Regular check-ups are important in catching problems before they become serious. Report any symptoms or risk factors to your doctor.